Retroblog: New features. New fixes. We are excited to announce the latest version of iMPC Pro 2, version 2.0.8! We're excited to bring you this list of new features and bug fixes. We've got a new feature for your, our Automation Editor! 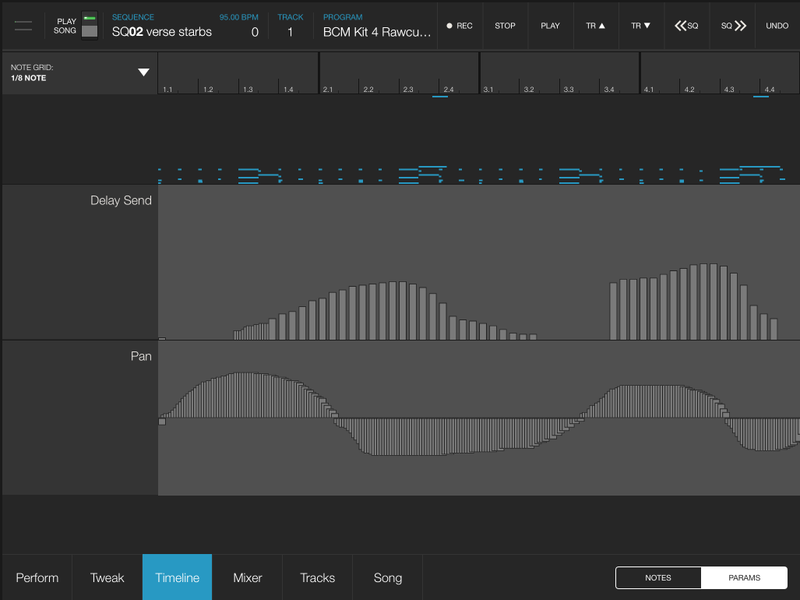 To access it, just tap the Timeline when you're creating an Audio Unit Track or Drum Track. When you're in the Timeline, you'll see the new Params tab in the lower right. - Large pads on bigger iPads! - Fixed dragging sequences from one bank to another. You can now also hover any drag/droppable item over a bank number to flip to that bank, allowing for one-finger drag/drop between banks. If you are happy with this update, please leave us a review on the App Store page! If you have any questions or need help, please email us at support@retronyms.com. Thanks!